Even dental enamel, the hardest substance in your body, is prone to damage from tooth decay or physical force. Dental reconstruction of a tooth that’s become worn, chipped or decayed typically involves filling the damaged portion. The more quickly you catch a small cavity, the more choices you have for restorative measures. A qualified Fair Oaks dentist offers numerous options for restorative fillings that appear invisible. If you have a large cavity, it may be readily visible when you look at the affected tooth. A large cavity looks like a dark pit in the surface of your tooth. Once the enamel of your teeth is breached, the softer material inside your tooth can quickly succumb to decay. You’ll likely experience pain when you bite down if you have cavities. Exposed nerves can cause pain even when you apply no pressure to the tooth. Small pinhole cavities and fractures that could admit disease-carrying bacteria into the softer inner dental tissues may not cause constant discomfort. If you notice increased temperature sensitivity or occasional twinges of pain when you bite down a certain way, see your dentist in Fair Oaks; you may have a tiny cavity that needs filling. When filling a tooth, a dentist must first remove the damaged portions. Numbing the area is the first step in the process. Your dentist will first swab your mouth and gums near the affected tooth with a local anesthetic; this surface numbing makes the subcutaneous anesthetic virtually painless when it’s injected. 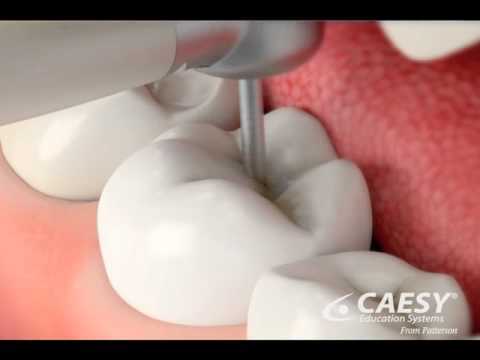 Your dentist will then remove the damaged portions of your tooth with a standard drill, air drill or laser. For small cavities, this process takes little time, so catching small cavities early is another reason to get regular dental checkups. Larger cavities and more substantial damage take longer to remove. After cleaning the newly prepared tooth, your dentist will prepare the filling. Depending on the type of filling you choose and the amount of wear it receives, you can expect your filling to last between 5 and 15 years before it needs replacement or restorative maintenance. Your Fair Oaks dentist offers a variety of fillings that suit your dental needs and your lifestyle. Traditional cast gold and silver amalgam fillings offer great durability, lasting as long as 15 years, but these restorative measures look nothing like the natural material of your teeth. Composite fillings are tooth-colored; your dentist can match them to your natural teeth precisely. They require more maintenance, but the aesthetic appeal of seamless restorative dentistry makes them a popular option. Every mouth and every tooth is different. Your dentist can help you choose the filling that suits your needs best. You’ll experience the finest in restorative and preventive dental care in Fair Oaks. If you have questions about the procedure, please don’t hesitate to ask.